3D printing is one of the most fascinating modern technologies, right? Wrong. It is indeed fascinating, but it’s actually not modern. It’s almost 40 years old. Additive manufacturing technology has been around since Reagan. And here’s a brief history of how 3D printing came to be. Read more: The Ultimate Beginner's Guide to 3D Printing. In 1981, a Japanese designer called Hideo Kodama from the Nagoya Municipal Industrial Research Institute made and published his account of a functional rapid-prototyping system using photopolymers –which we will discuss a bit later on. He was able to print a solid model of layers, where each layer each corresponds to a cross-sectional slice in the model. Then, 3 years later in 1984, Charles Hull made the big breakthrough by inventing stereolithography. This technology allows the designer to create 3D models using digital data, where this data can be used to build a tangible object. The secret behind stereolithography is the acrylic-based material known as a photopolymer. What happens is that vat of liquid photopolymer is hit with a UV laser beam. The part exposed to the light will then turn into a solid piece of plastic instantaneously, and it will be shaped into the design of your 3D model. I guess you can understand how important and big this was to inventors. At that point, they had the opportunity to test out and theoretically prototype their designs without having to make a big investment in manufacturing. In 1987, Carl Deckard at the University of Texas finds an alternative 3D printing method that turns loose powder into a solid structure. Instead of using chuck Hall’s liquid resin process, Deckard used the laser to bind the powder together to form a solid shape. He called his first machine “Betsy”. In 1989, the German additive manufacturing company EOS GmbH focused on laser sintering technology and came up with Direct Metal Laser Sintering. DMLS made laser sintering pioneer in producing entirely metal parts in the world of 3D printing technology. And this was a game changer because then, 3D printers could be used to create complex parts that are made from very real and very durable metals. In this period, S. Scott Crump invented and patented the technology of Fused Deposition Modeling –also known as FDM. In that same year, Crump and his wife Lisa founded “Stratasys”. This company was and still remains a leading manufacturer of 3D printers. In 1992, 3D Systems (Charles Hull’s company) was able to create the world’s first stereolithographic apparatus (SLA) machine. This machine was able to fabricate complex parts layer by layer in a fraction of the time the process would typically require. In the same year, DTM created the world’s first selective laser sintering (SLS) machine. This type of 3D printing involves the interaction of the laser with a powder instead of liquid. At the time, 3D printing technologies were still being in development, so they weren’t perfect. As material hardened, some warping would happen. Moreover, the price of the machines was extremely expensive for the average home inventor. But what was undeniable was the potential this technology had, and even after decades, this potential is still unfolding. In 1999, the first 3D-printed organ was implanted in a human. At Wake Forest Institute for Regenerative Medicine, scientists printed synthetic scaffold of a human bladder and had them coated with cells of human patients. This generated tissue was implanted into patients. The great thing about this was the certainty that the immune system wouldn’t reject this “outside” or “foreign” body, because it wasn’t actually foreign and was made from the patient’s own cells. From the medical perspective, this was an amazing decade in the history of 3D printing. In just 10 years, scientists from various institutions and startups created a functional miniature kidney, created a prosthetic leg with all its complicated parts printed within the same structure, and bioprinted the first blood vessels using only human cells. In 2005, Dr. Adrian Bowyer’s RepRap Project started an open-source initiative to create a 3D printer that has the ability to build its own self. In other words, print its own parts –or at least most of them. It was released in 2008 under the name of “Darwin”. Darwin was a self-replicating printer that was able to materialize that idea. From then on, people everywhere had the ability to create whatever they wanted on their own. By the mid-2000s, the public’s imagination was captured by the idea of mass communication and all the possibilities that could be made true thanks to this technology. The first SLS machine became available to the market in 2006, which made on-demand 3D printing of industrial parts an available choice. 3D-printing startup Objet (now it’s merged with Stratasys) designed a machine that had the ability to print in multiple materials. This allowed a single part to be created in different versions with different material characteristics. Moreover, a 3D-printing marketplace with the name of Shapeways came to be. This was where designers could get feedback from consumers and other designers and create their own products at an affordable price. Finally, MakerBot also surfaced. It provided open-source DIY kits for designers to create their own 3D printers and products. With these developments, the barriers to entering the world of 3D printing by inventors and designers were disappearing day by day. 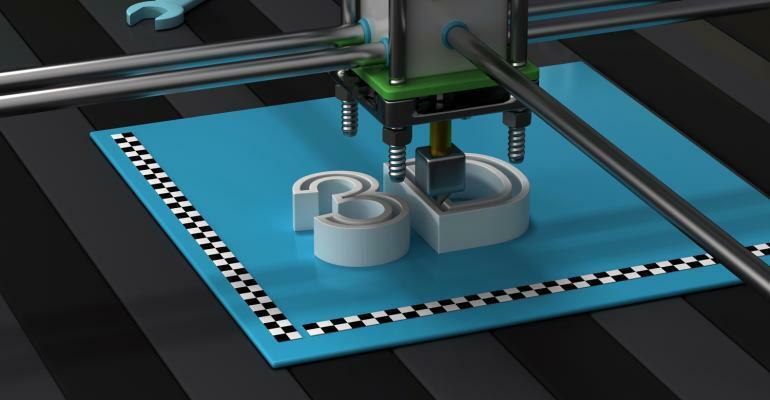 3D printing has definitely taken a huge leap since it first came to be and it has evolved tremendously. 3D-printed jetpacks are even being considered! The only problem that’s standing in the way of a world of innovation is the costly price of the industry. At least to get the whole business started and give it the initial push. While it is true that the price of 3D printers has fallen and their accuracy has improved, it’s still not the cheapest possibility. By all means, however, innovators are creating things beyond what Charles Hull could have imagined. The prototypes aren’t limited to being plastic. For example, you can 3D-print your very own, personalized engagement ring using gold or silver. At the University of Southampton, engineers were able to create the world’s first 3D-printed auto-pilot aircraft. KOR Ecologic created “Urbee”. This is a car with a 3D-printed body with a capability to reach 200 MPH on a freeway. In 2015, the Swedish company “Callink” released its first standardized commercial bio-ink. The bio-ink is made from seaweed-derived material known as nanocellulose alginate and can be used to print tissue cartilage. The cartridge first cost 99 dollars. Then, the company released another product: the Inkredible 3D printer that was to be sold for around 5 thousand dollars. From then on, 3D bioprinting has become more and more affordable for a wider range of researches all over the globe. 3D printing is even being used to create affordable housing for the developing parts of the world. Innovators are using the technology to print smart robotic arms, bone replacements, and even particles that are made up of only a few atoms –a step closer to even smaller electronics and batteries-. Wherever you look, you’re surely going to find amazing creations with 3D printing technology. And that’s the thing about it. If you can imagine it well, you can execute it and make your dreams become a reality.